Iconfactory has rolled out a very nice update to Twitterrific 5 on iOS that adds some slick new features while fixing some of the bugs that have been an issue for many users of the application. This update offers some great improvements to the premium Twitter client, which should make its many paying users very happy. The biggest change to the app, and one that is all happening behind the scenes is a major speed increase to the way the it runs. The company cites many performance enhancements throughout the app, and according to early user reports, the difference in speed is actually quite noticeable. The Universal app has also received a new layout for user profiles. The functionality featured in the profile remains more or less in tact, but the layout is smoother and easier to navigate. Some navigation changes have also been added such as the ability to view profile banners by tapping on them, a new pull-to-refresh animation, and the ability to swipe upward on a photo to dismiss it when finished. All of these changes go a long way towards making the app function better, and it helps keep Twitterrific near the top of the Twitter clients on iOS. The rest of the changes in version 5.5.3 come in the form of bug fixes such as one that prevented users from being displayed in people search, and a bug where the pull-to-refresh control would disappear. Many users will not feel these changes directly, but for those who were having the issues, any bug fixes like this are a welcomed change. 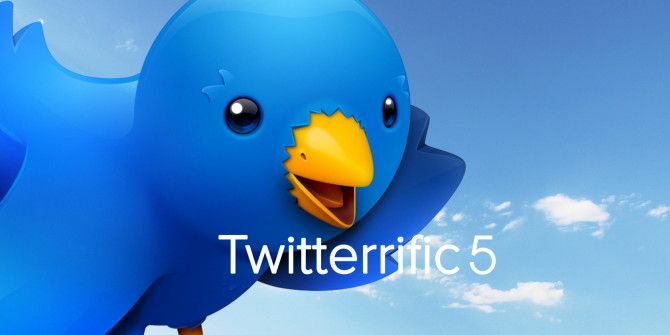 Twitterrific 5 is available from the App Store for $2.99. Users who have already purchased the app will get this update for free. Should I do that,, my cousin use my kindness for happy Jack pot make money. 2 iPhone 6 use my credit card.. Cheaper but my name (me) must pay the bills. Yes,, but only 1 and the other one no. I have no job now. My friend need money. I give him this solution but I really did not think about 2,5 years pay the bill. Before make these solution we agree to buy gold. Then she give me an option buy iPhone. My friend get the money. And who is responsible for 2 Bill from 2 servers. I only pay 1 number until now. She did not stole. If she use my e-mail that I using it right now. This is my real email that use my identity card. I really don't know what to do right now..